1952 Chevrolet Photo Picture Classic Cars for sale & Classifieds - Buy Sell Classic Car & Classic Truck Classifieds. 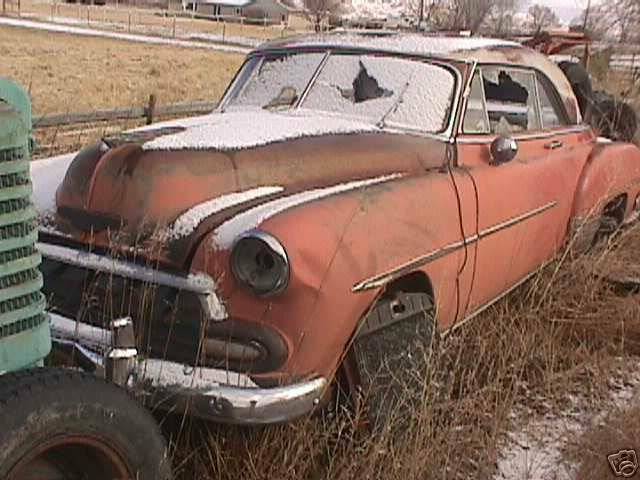 "Leadsled1953" has sent us another batch of great Rusty Ride photos, including this 1952 Chevrolet. How much for the chevy 2 dr hdt. Ed. Just a little bit of a bumpy ride. I wonder, if it has a radiator for a wheel, does it have a wheel for a radiator? It look's like it has radiator tires. wow!....2dr sweetheart, can't tell by this pic if its on the ground with no wheels or up on blocks....but this car needs to be saved!